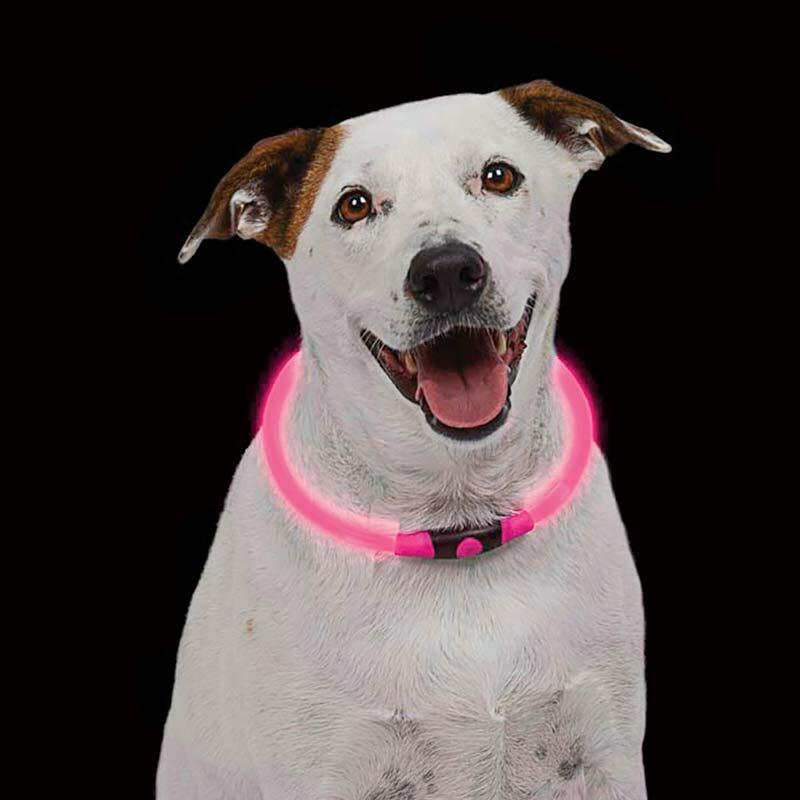 This brilliantly durable NiteHowl LED Safety Necklace is made with a flexible polymer tube, illuminated by two bright red LEDs, that simply slides over your dog's neck for hours of nighttime fun and safety. Just trim the tube to a custom fit, give the button on the durable, weather resistant housing a quick press, and the entire collar lights up a full 360 degrees, making your dog clearly visible from all angles, coming and going. The LEDs can be set to either flash or glow modes.